Over the years, the mouse has retained its basic shape, which is not all bad. However, extended improper usage has been known to cause various ailments. 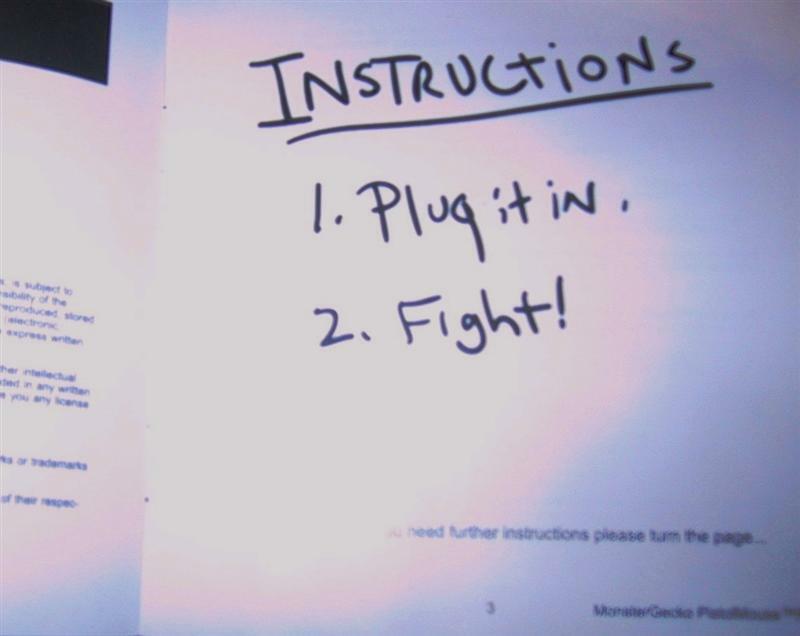 Unfortunately, basic gets boring after a while, and MonsterGecko aims to improve on that with the PistolMouse. 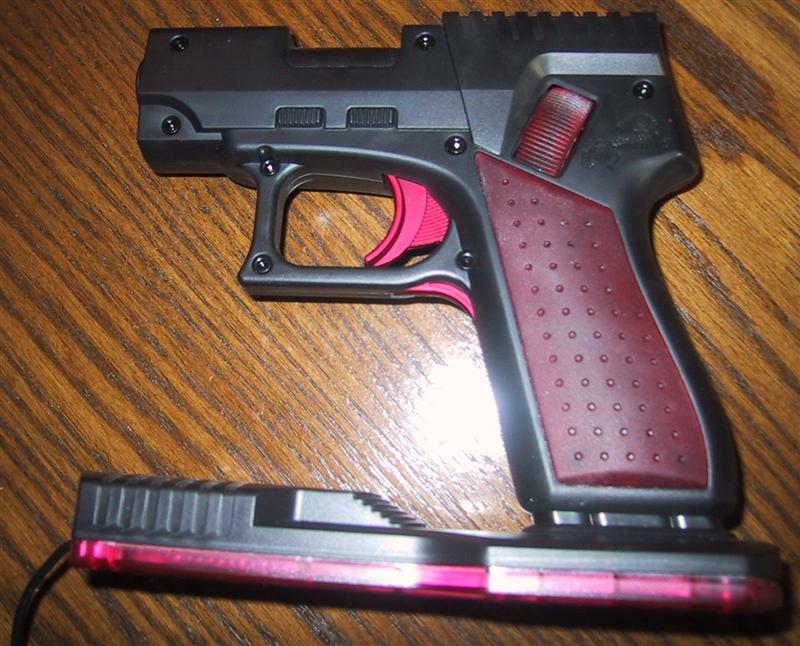 The look of a pistol is not only employed for aesthetics but the unique vertical grip also relieves some of the pressure introduced to the wrist when using a regular mouse. The shape also allows the mouse to be symmetrical so lefthanders aren’t left out. Installing the PistolMouse was a breeze. Simply plug it into an available USB port and the device is recognized as a standard mouse. The configuration of the buttons and scroll wheel are accomplished as if configuring a regular three (3) button mouse. The PistolMouse shares the same configuration as your regular mouse which may lead to some inconveniences along the way. In some games it is better to have your trigger set as the right mouse button but this would cause your regular mouse to switch buttons. The software from my current mouse detected the PistolMouse as a standard three (3) button mouse but refused to switch the right and left buttons. After uninstalling the software, the buttons switched without a problem. With the optical sensor placed towards the front of the base, turning left and right is accomplished by twisting your wrist in the appropriate direction. This takes a bit of getting used to when compared to the usual sliding left and right of a mouse. Also, thanks to the sensor being placed so far in front of your wrists, smaller movements are required to make 180 degree turns. The use of an 800dpi sensor ensures your courser won’t skip a beat when you make any rapid moments and allows for tracking that is comparable to some higher end mice. 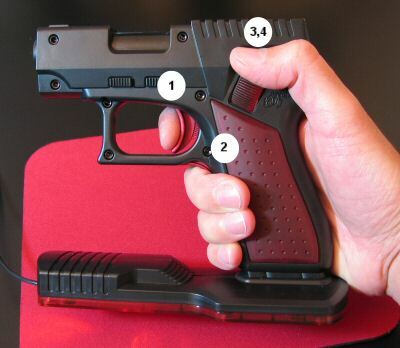 For some, the secondary grip trigger may be a bit hard to press and the travel of the primary trigger may be a bit long. I am more forgiving of these minor annoyances since I feel the benefit to my wrist outweighs them. Unfortunately, I won’t be able to tell you if there is an actual medical benefit but after several hours of gaming I know there is no pain here. After spending some time in Half-Life 2 and Unreal Tournament 2004, I decided to try the PistolMouse in World of Warcraft, which is the primary thief of my time. Admittedly, squeezing a trigger to swing a sword does take some getting used to but as it stands my wrists are thanking me. The most difficult part of this review is conveying to you how good this feels after four hours of continuous gaming. 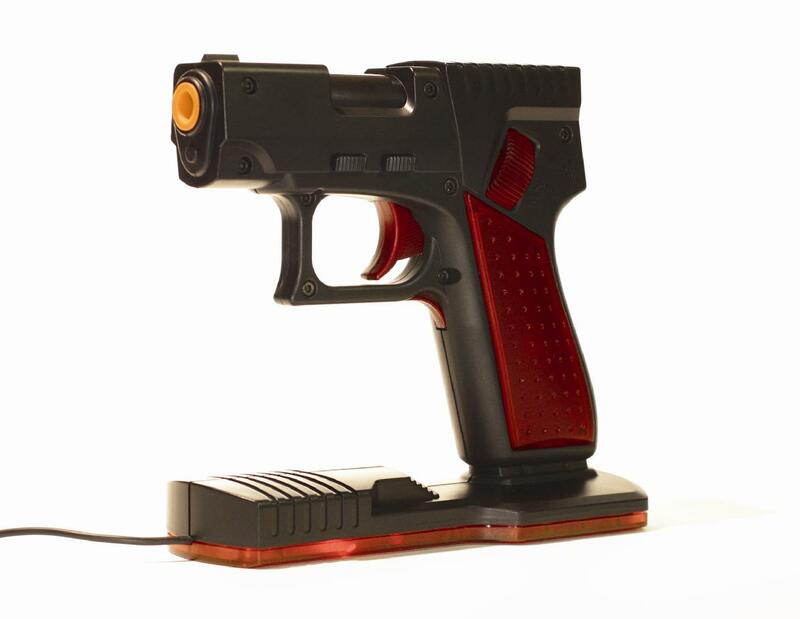 If you are the least bit curious, the PistolMouse could be had for $40 from MonsterGecko’s site and it comes with a 30-day satisfaction guarantee. Pick one up and take it for a spin. I would have never considered this product for purchase but after using it for several months I would not hesitate in recommending it to gamers. The PistolMouse is not a perfect replacement for the mouse; however, if the benefits are indeed real, then it’s worth every penny.